Hirt’s major claim is that what really sets American zoning apart is its orientation, explicit or implicit, to putting the single-family residential zone at the top of the hierarchy of urban land uses. Not only are single-family zones listed first in many zoning codes, but they make up significant pluralities, or even majorities, of total land area in most American cities. Interestingly, Hirt points out that this wasn’t necessarily true when zoning was first introduced: New York’s famous first zoning law didn’t even have a single-family zone at all. Cities in other countries remain closer to our origins, then. In Great Britain, for example, local development plans generally set limits on residential density by the number of housing units per given land area, rather than dictate the form that those housing units must take. In the Paris area, too, land use intensity is determined by something like FAR, or the ratio of total floor area to lot area, rather than prescribing apartments or detached homes. The German zoning system, which in some ways appears very similar to ours, does not even have a single-family category. As Hirt points out, Americans appear to be unique in believing that there is something so special about single-family homes that they must be protected from all other kinds of buildings and uses—even other homes, if those homes happen to share a wall. 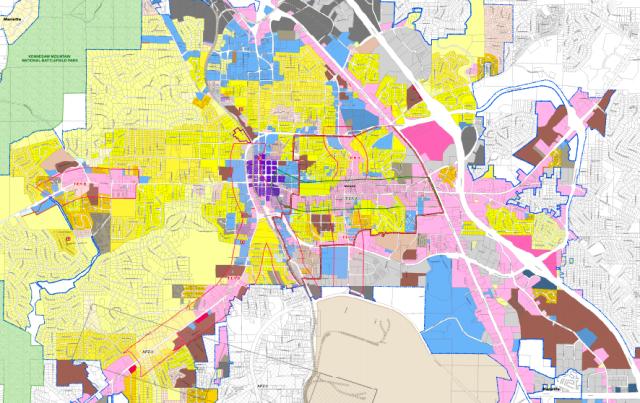 The recent revolt in Seattle over a proposal to soften that city’s single-family districts, in other words, would not be possible anywhere else in the world, not least because very few people live in single-family districts to begin with. I imagine land use policy takes a significantly higher profile in countries with higher population density. Yes? Other countries weren’t formed by people moving into an open expanse… well, except maybe russia. The single landholder is pretty deeply ingrained in our psyche. I don’t understand the graph on the bottom though. What’s it trying to say? It looks like the better off the EU country, the lower the owner occupancy rate is.